With the relaunch of this all-new website, players can look forward to a far better overall user experience and to enjoying a new, fun and exhilarating gaming experience. This Getting Started guide at EmuCasino should help you cruise through the already easy process of registration, funding and playing games. A quick read through our beginner’s guide should help you jump-start the process without hitting any speed bumps. 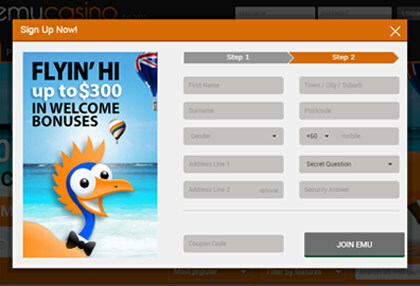 Players are able to fully enjoy our online casino games in practice mode instantly through their web browser. 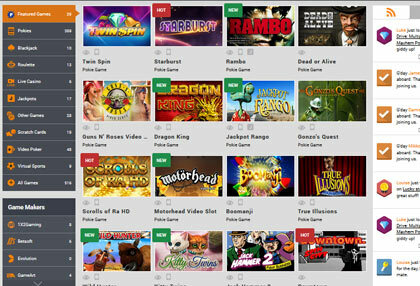 On the homepage, players can choose a casino game from our featured games list. Simply hover over the game and click ‘Play’ and you’ll be taken to the gameplay window. Or if players already know what game they want to play, they can type it on the search bar. On the top filter bar, players can filter games based on popularity or alphabetically. 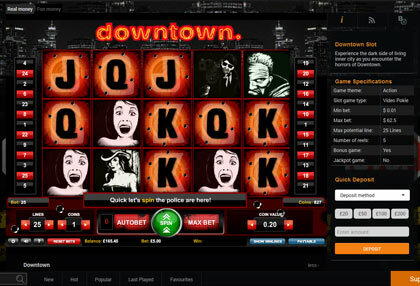 If you’re a big fan of pokies, players can feel free to filter pokie games by their features. Simply click ‘Filter by features’ and check any custom field that they want the pokie games to include. 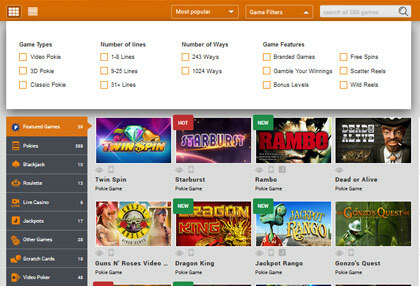 The site will only list those pokie games that include the particular feature desired by the player. Players can also click on the list of game categories on the left hand side and choose a game category they want to try out after which they can view all the games listed under that game category. Filtration process is very compatible and interactive in the homepage itself. The left hand sidebar allows players to filter games by three categories: Game type, Game theme and Game makers. Every click of the sidebar narrows down your game choice, making it more specific. Apart from the filter name, the sidebar shows the number of games available in that particular category. After you click on a game theme or a game maker, players can click on ‘Show All’ to remove the filter. After clicking play, they’ll be taken to the gameplay screen where players can play the game while in full and instant access to the game review of the game at the bottom. On the right side toggle, players have access to game specifications, instant deposits and players can also view all the games their fellow players are enjoying and can click on the game name to play any particular game that they might want to try out. Players can also enjoy the game in a full screen mode for an enhanced gaming experience if they wish. Creating an account at EmuCasino is a swift 2 step process. On the homepage, players will find a ‘Sign Up’ button on the top. In step 2, you enter your full name, phone number, address and secret question. Players are required to use their actual mobile number and address for security and verification purposes. Click here to open the EmuCasino registration form. Once you’ve filled in all necessary details, click on ‘Join Emu’. To meeting our standard security checks, EmuCasino will send you an email to the registered email address where you’ll need to click on the activation link. Once you click on the link, you’ll be redirected to the EmuCasino activation page where we’ll verify your account and confirm your account activation. Please note, you may need to copy and paste the link you receive, as some email providers remove any links found in emails. 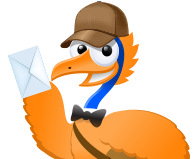 For full information on your Emu Account Activation, click here. Once logged in, click the deposit button. Select the deposit method most suitable for you and choose on whether you want any bonus that is available to you. Then choose the amount you wish to deposit or alternatively enter your own as you so wish. Depending on the deposit method you use, the amount should immediately appear in your account; if you’re depositing with your credit card, you might need to go through a quick 3D secure verification process, as part of our security procedure. For full information on funding your Emu Account and the payment options, go to our Deposit Options page. Once the deposit amount appears on your account, players are free to place bets on their favourite online casino game at EmuCasino and possibly win big. Enjoy! 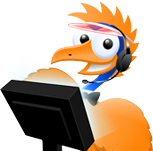 Upon any confusion during the process, feel free to contact our support team without any hesitation. As part of our security policy, players are required to submit KYC identification documents. To submit documents, players can go to within their account and click on the Documents tab. Here, players have to primarily submit 2 documents; firstly an identification card such as passport or driving license that shows your photo and a document or ID that is the proof of your registered address. 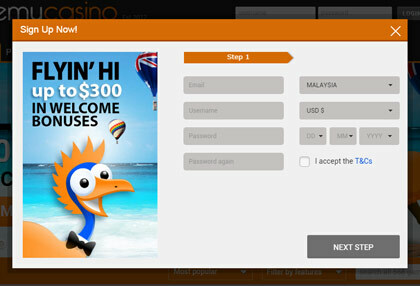 After submission, the operator will check and approve the documents upon which players are able to withdraw funds from their casino cash account. Please see our account verification page for further details.